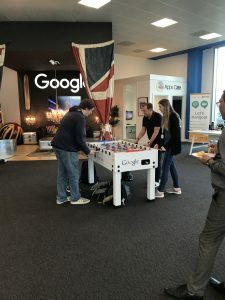 Netpremacy and Google at Leeds Digital Festival. 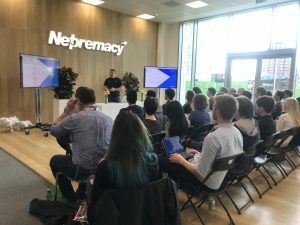 On April 18th, 2018 Netpremacy hosted an event with Leeds Digital Festival for the first time, and the sun came out especially! Leeds Digital Festival is the biggest digital festival in the North. It took place over two weeks in April, and over 156 events were booked with companies such as Ward Hadaway, KPMG, Sky Bet and many more. The aim of the Festival is to bring companies in Leeds together to celebrate all things digital, and to raise awareness of topics such as women in technology, the new GDPR laws, and Big Data, to name but a few. 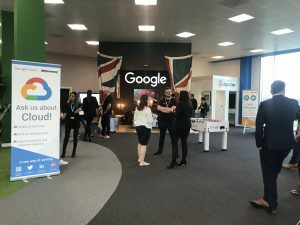 Since Netpremacy as a Google Cloud Premier Partner, an expert in all things Cloud – we thought it was only fitting to base our event on Google, Big Data and modernising IT in a cloud-first world (plus a bit about what it is like to work alongside Google). 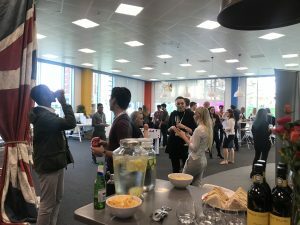 The aim of the event was to bring together different businesses and students, to raise awareness of how Big Data and Google Cloud Platform is relevant to many different departments and platforms. 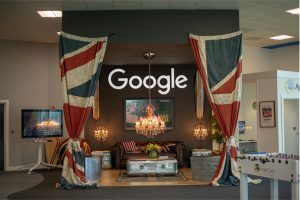 It also gave us a chance to help people understand our relationship with Google, and how the company has developed over the past 10 years. 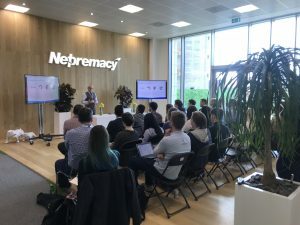 Andrew Martin, Sales Director at Netpremacy kicked off the presentations with a welcome talk which explained more about Netpremacy, what we do and how we are linked with Google, mentioning some of the fantastic customers that we have had the pleasure of working with such as; Morrisons, Just Eat and Deliveroo some of which even attended the event. Andrew has worked at Netpremacy for over 10 years and joined Netpremacy when it was just starting out. We were lucky enough to have Paul Glover, Enterprise Cloud Sales at Google to speak at the event. His presentation discussed the history of Google, the Cloud, and various success stories. He then went to discuss Google Cloud Platform and its products in more detail. The final speaker was Elliott Shaffii, Head of Customer Success at Netpremacy. He spoke in detail about Google Cloud, Big Data, machine learning and G Suite. Elliott explained how Big Data works, and how it is relevant to different companies. He explained the difference between traditional Big Data and Google Big Data. After the closing Q & A session, there was time left for some networking. Snacks and drinks were served, and our guests were encouraged to walk around the office and to ask any more questions they had. A large part of the Netpremacy team was on hand to help, complete with matching Google T-shirts and lanyards so that guests could identify who were Netpremacy staff. It was fantastic to see how interactive the audience was, and people got stuck into our technology straight away. A number of people were trying out the new Jamboards, as well as checking out our one-of-a-kind spaceship boardroom complete with its own Jamboard and Hangouts Meet Hardware Kit. There was even time for some guests to sit in our infamous hammocks and egg chairs, and to try their chances at table football! Our event was a success and it was great to meet so many new faces. We hope to build on and keep long-lasting relationships with the people who attended. 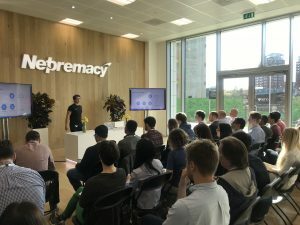 Netpremacy is looking forward to hosting another event with Leeds Digital Festival next year, and continue to work towards building a thriving Leeds Tech Hub. If you are interested in working for Netpremacy, we have a number of career opportunities available. Head over to our website to see what positions are currently available.